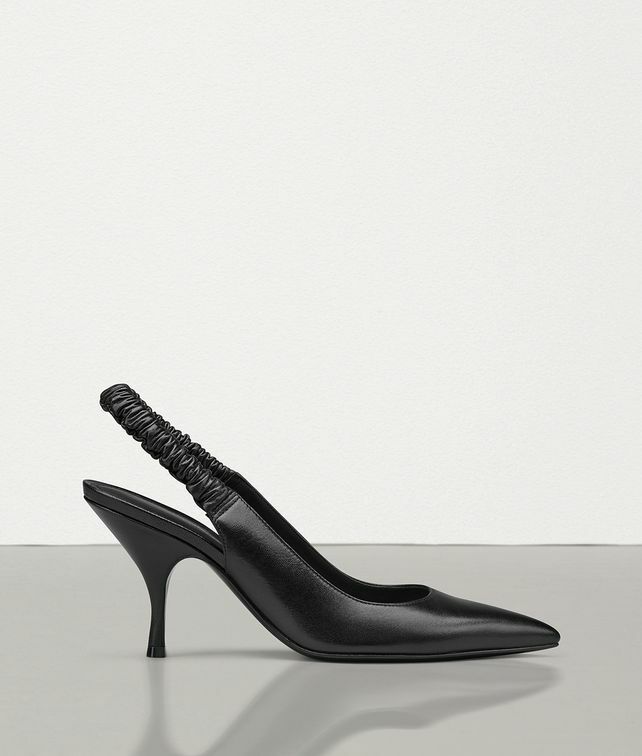 Made in smooth kid leather, this pump is a classic pointed style with the twist of an elasticated slingback strap covered with softly gathered leather. Featured in the Spring/Summer 2019 presentation, the pump reflects the season’s return to essentiality through modern interpretations of timeless pieces. •	Heel height: 8 cm |3"
Heel height: 8 cm |3"